Ever wish you could walk through a cloud? Japanese architecture studio Tetsuo Kondo Architects and environmental engineers Transsolar, create Cloudscapes where visitors can experience a real cloud from below, within, and above. 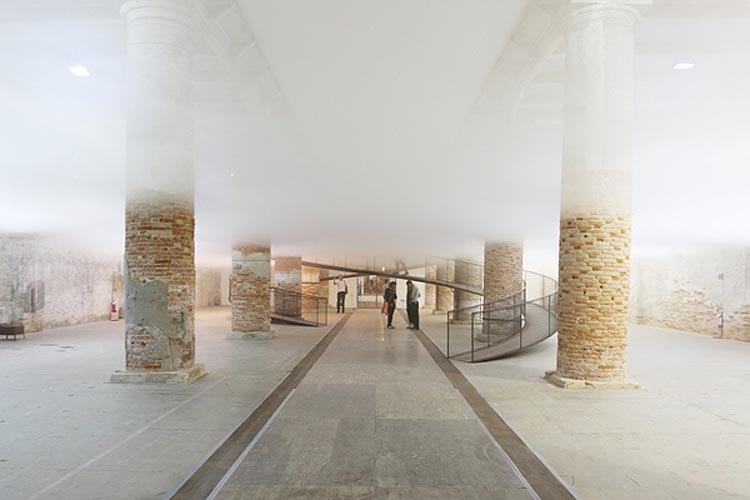 First, three years ago at the Venice Architecture Biennale 2010 their cloud installation floated within the center of the Arsenal and, more recently they exhibited a Cloudscape encased inside a transparent two-storey cube at the Museum of Contemporary Art Tokyo (MOT). These installations are formed by pumping three layers of air into a contained space: cold air at the bottom; hot humid air in the middle; and hot dry air at the top. 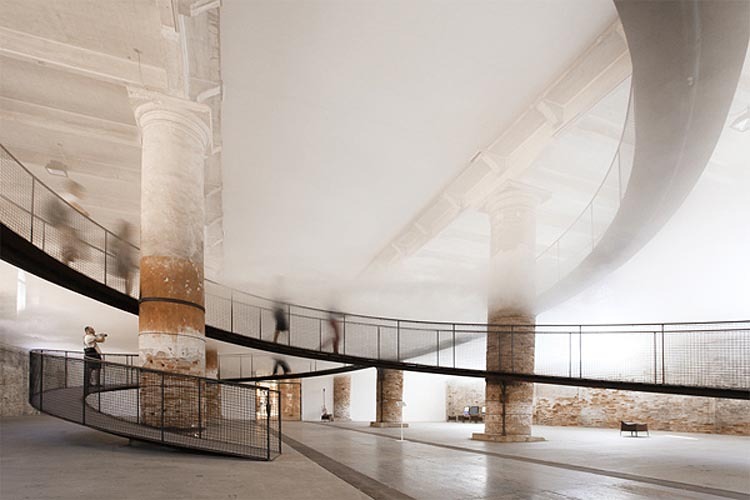 The pathways offered to visitors exploring the Cloudscape includes a staircase allowing them to experience the cloud from all angles, including walking through it.